Da Nang is not always included on travelers’ itineraries when they plan a trip to Vietnam, but this is such a shame as there is a huge amount to see and do here. This is the third largest city in Vietnam and offers visitors who make the trip here the perfect mix of modern and traditional touches. 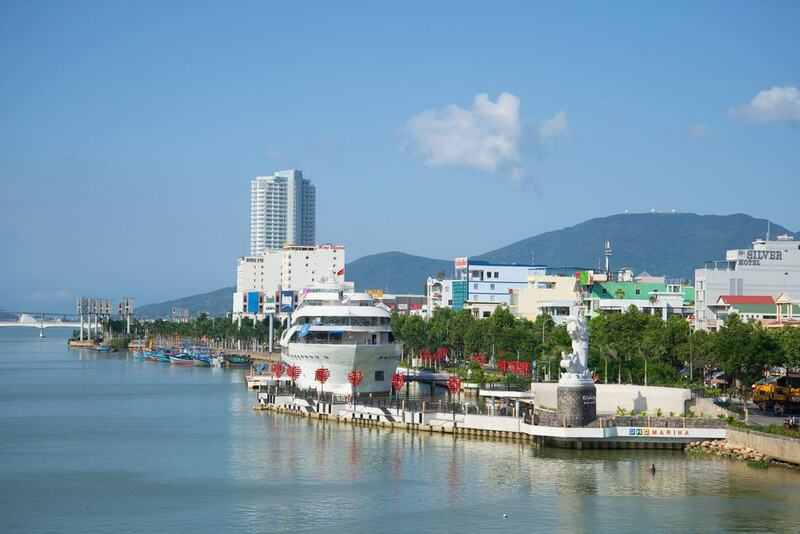 When you visit Da Nang you can enjoy one of the most innovative skylines in Vietnam as well as a serene riverside promenade and some gorges sandy beaches to boot. 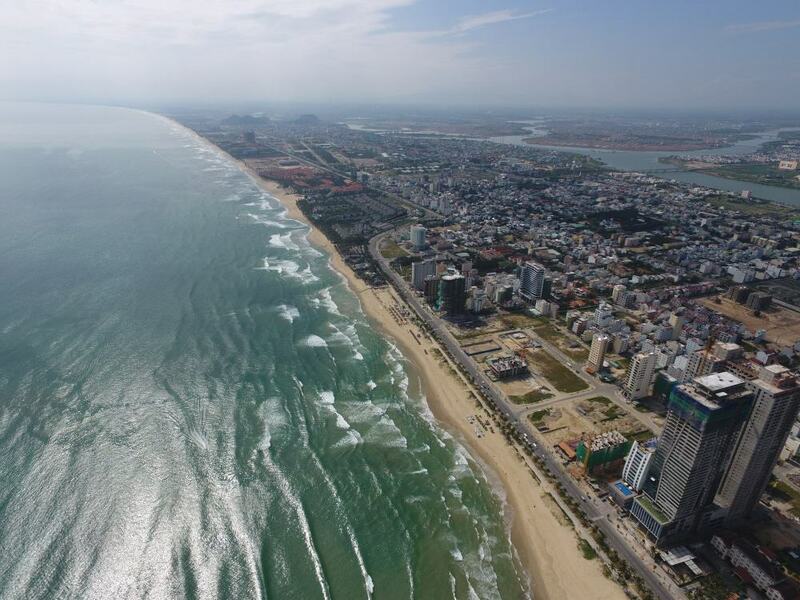 One of the big draws of Da Nang is that it is located on the coast and is close to a long strip of coastal sand which means that you can enjoy the city while also getting out into the countryside. Water sports are popular here or you can also spend time hiking up mountains or visiting vibrant amusement parks and museums. As if that wasn’t enough, you will also find historic attractions here like temples and crumbling ruins. 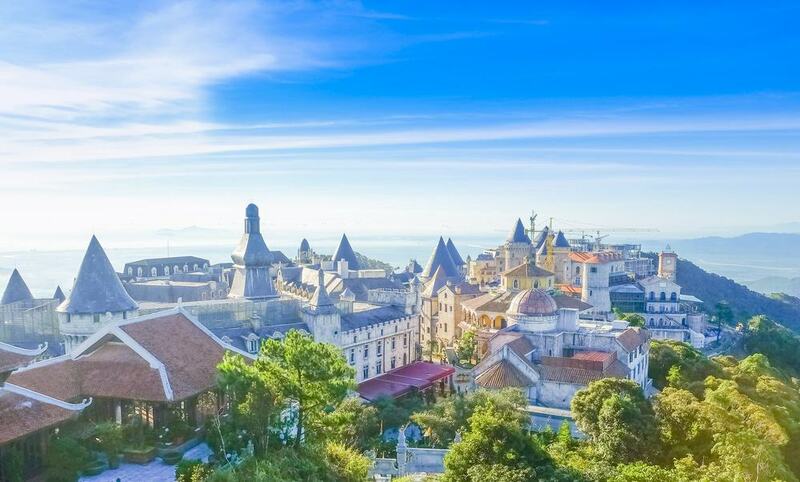 The Ba Na Hills are one of the premium attractions in Da Nang and people flock here from all over the region for the cooler climes that the elevation offers. At the summit of the Ba Na Hills you will find spectacular vistas that stretch as far as the sea and you can take a cable car to the top if you are feeling lazy. There is also the Ba Na Hill Fantasy Park which has a range of entertainment zones as well as a wax museum that has models of famous celebrities. If you travel to Hanoi you will find a huge number of Communist-themed coffee shops and Cong Caphe is Da Nang’s answer to this trend. It is also one of the best places to get a cup of coffee in the city and is located next to the river which affords you pretty views over the water. If you are looking for one of their signature drinks then try the coffee which is mixed with yoghurt. 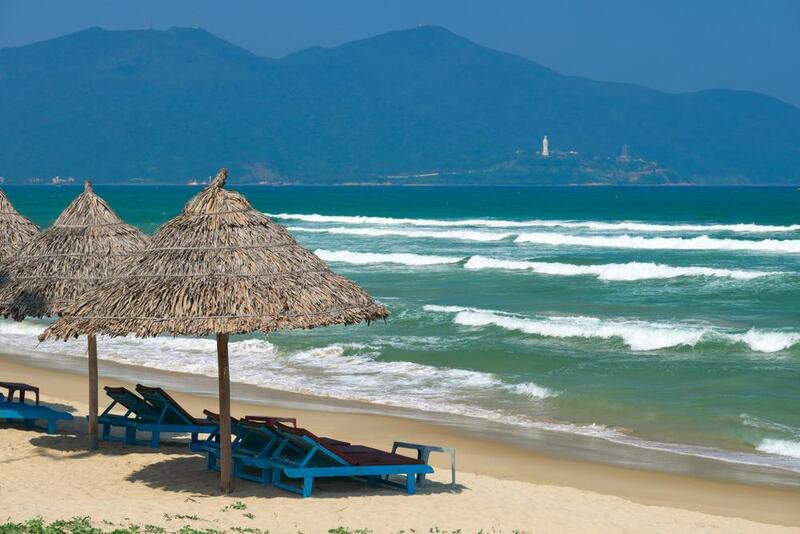 My Khe Beach is said to be one of the most beautiful beaches in all of Vietnam and it stretches for some 20 miles along the eastern coastline of Da Nang. There are a huge range of activities to enjoy such as water sports and you can go jet skiing or even surfing. If you want to relax then you can sunbathe on the golden sand or go snorkeling, and you will also find a wealth of delicious seafood restaurants lining the beach. 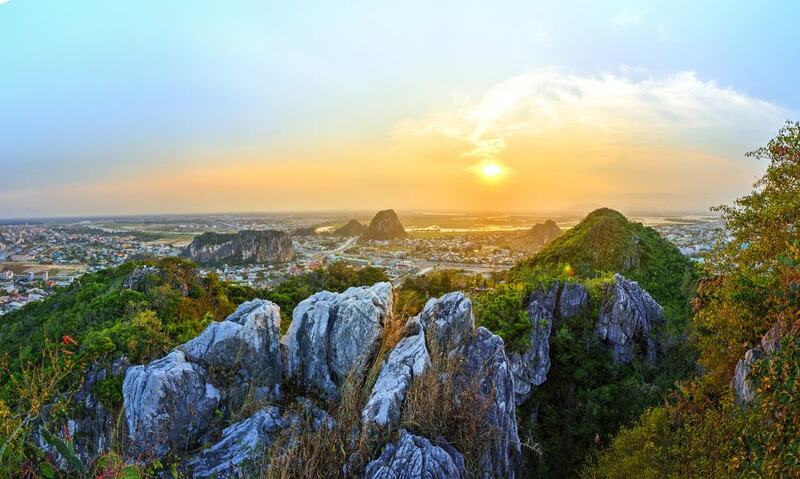 The Marble Mountains is actually the name for five separate hills made of limestone that are also mixed with smooth marble. 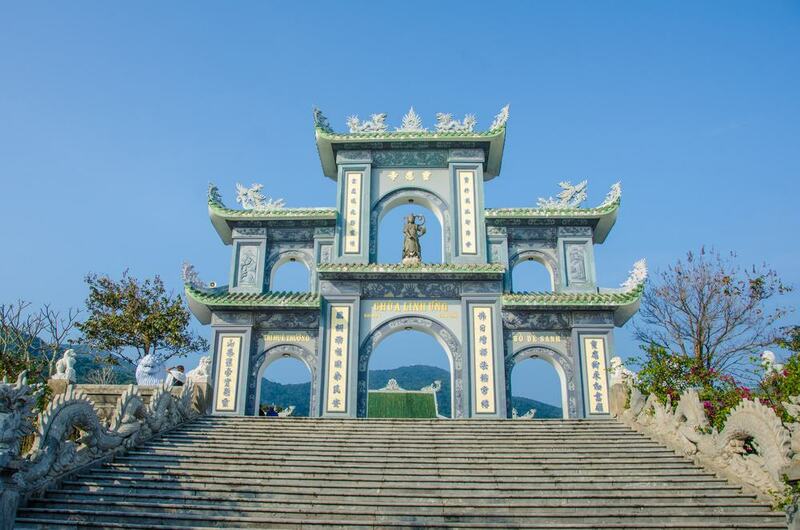 The mountains sit some 9 kilometers outside of Da Nang and are known for their Buddhist pagodas and shrines which are dedicated to various local gods. You can walk up the hills using a long set of steps cut into the mountainside and from here you will be able to take in all the best views over the countryside. 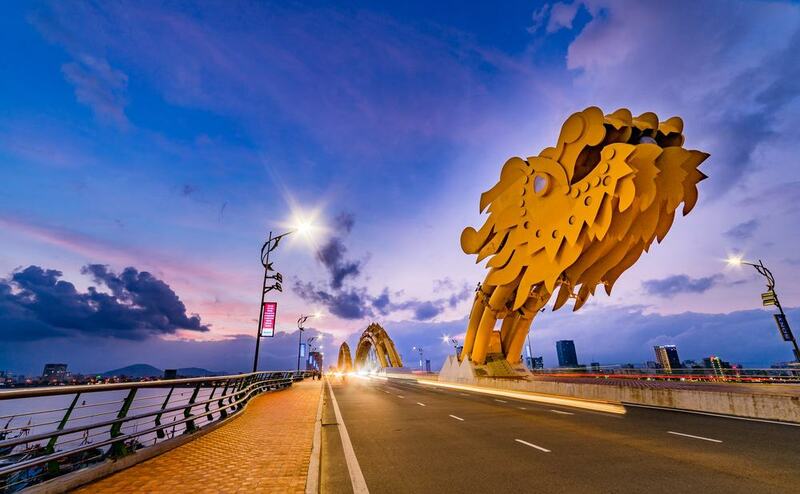 The main attraction in the center of Da Nang is undoubtedly the large Dragon Bridge which stretches over an ominous 666 meters and has the claim to fame of being the longest bridge of its kind in the country. As the name suggests, the bridge was built in the shape of a dragon which is meant to represent good luck in Vietnam. Every Saturday and Sunday at 9 pm you can walk down to the waterfront and watch a show which lights up the bridge and the dragon even spits out fire and water from its mouth. 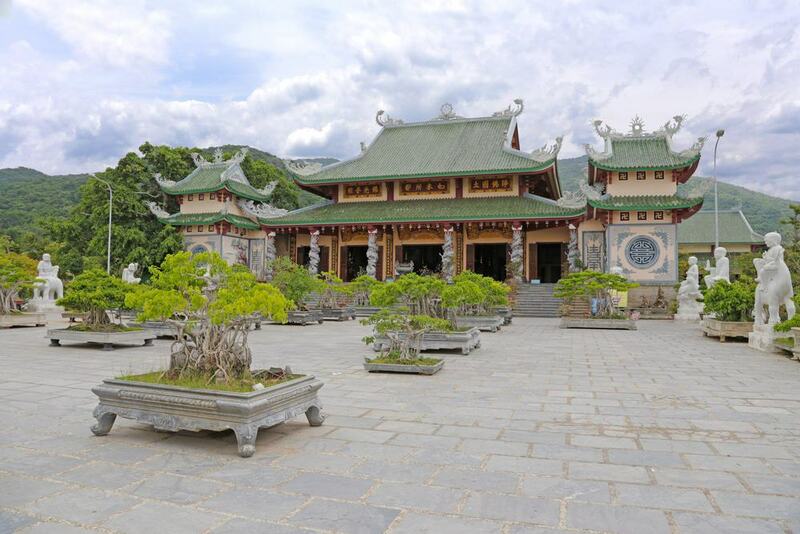 Many visitors don’t realize that Da Nang has a huge number of interesting museums and the Cham Museum will tell you everything that you want to know about the Cham people in Vietnam. 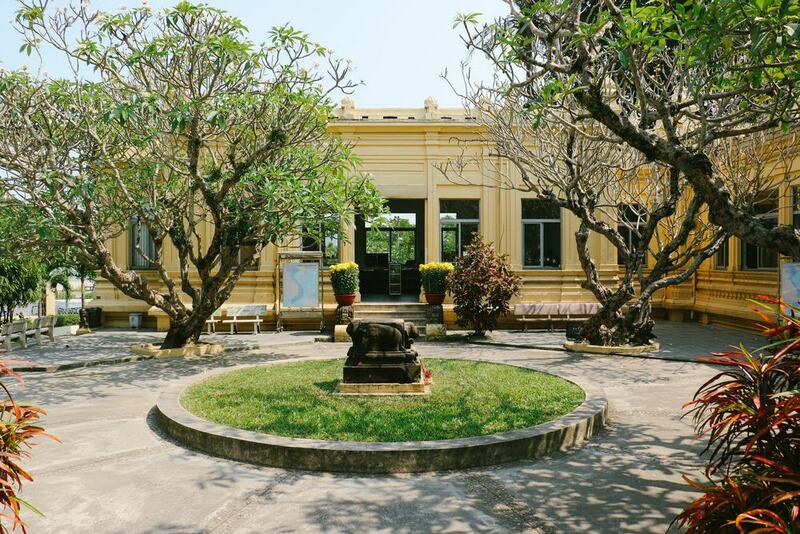 This museum also has the claim to fame of being the only Cham museum in the world and it first opened its doors in 1915 at the time of the French colonial period. On a visit here you will find a number of amazing exhibits including terracotta and stone pieces that date from the 7th to the 15th centuries. 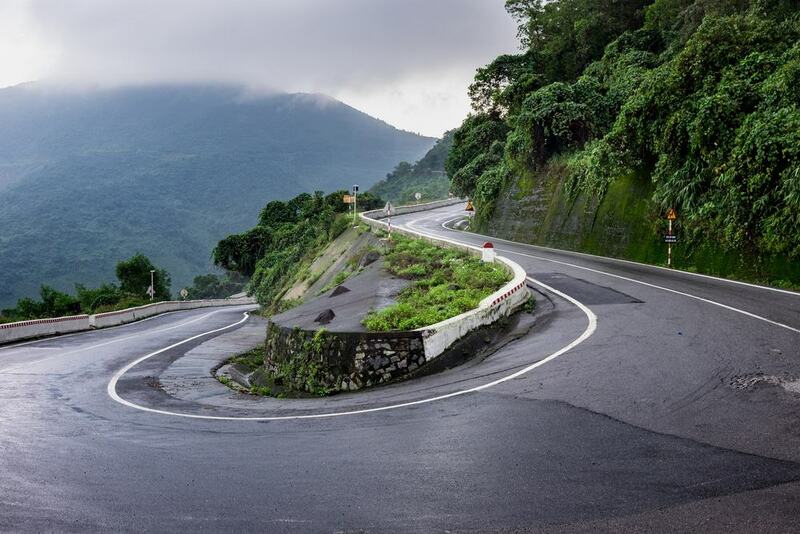 The Hai Van Pass is one of the top attractions in this part of Vietnam and rests at around 500 meters above sea level. This makes it the highest pass of its kind in Vietnam and if you want to get panoramic views of Da Nang then this is the place to come. There are a number of historical markers along the way as you navigate the pass including a fort that would have been built during the French colonial period which was also used as a bunker during the Vietnam War by American and South Vietnamese troops. 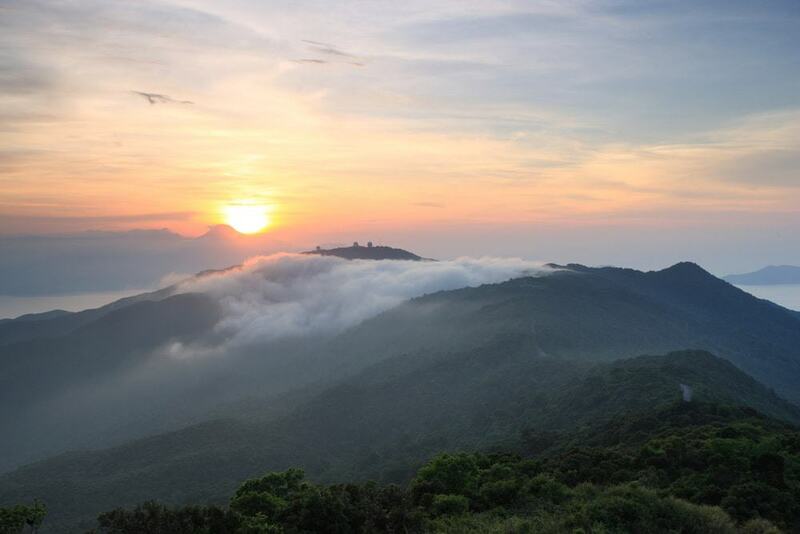 Son Tra Mountain translates as Monkey Mountain in English and this is part of a spectacular national park in Da Nang that is located at around 700 meters above sea level. This area is also called the Son Tra Peninsula and you will find winding roads here which lend themselves to hiking as well as cycling. The mountain is so named as it is the home of a rare species of monkey called the red face monkey. Many people probably don’t realize that Da Nang has been making a name for itself in recent years as a result of its idyllic golf courses. There are four main courses in the city and one of these is the Da Nang Golf Club which first opened in 2010 and has been voted one of the 15 best new golf courses in the world. 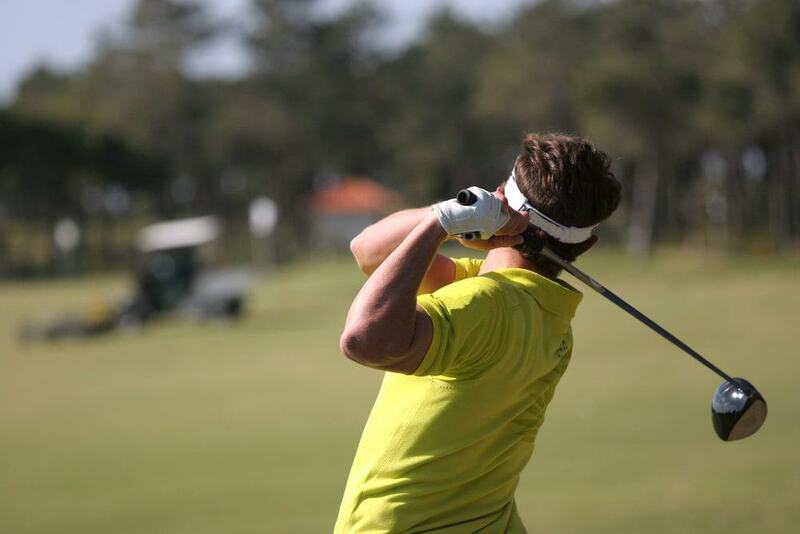 As such you can fit in a game of golf when you are in the city and enjoy lush rolling greens which extend onto white sandy beaches. The Linh Ung Pagoda is located at Son Tra Mountain and is one of the most famous attractions here. The pagoda is known for having the tallest statues of the Goddess of Mercy in the region which was built on top of a platform in the shape of a blooming lotus. You will also find some 21 statues of the Buddha here which are in turn located inside a larger 67 meter tall Buddha figure. If you want to get outside the city then head to Non Nuoc Beach which is around a 20 minute drive away from the center of Da Nang. The beach is regularly voted one of the most beautiful in the world and you will find white powdery sand here that backs on to azure waters. Some of the main attractions here include surfing or jet skiing and you can also spend time dining at the many seafood restaurants here. The beach sprawls for 5 kilometers along the coast and leads you all the way to the base of the Marble Mountains. The Phap Lam Pagoda is located inside a building that unfolds over two floors and is set amidst lush gardens that are dotted with sculptures of the Buddha. The pagoda is known for its relaxing and serene setting and you will find a central courtyard with a statue of the Buddha that is 1.1 meters high. Here are also additional statues of the Goddess of Mercury as well as Dai The Chi Bodhisattva. Also of note are the food carts and restaurants around the pagoda which sell delicious vegetarian food. 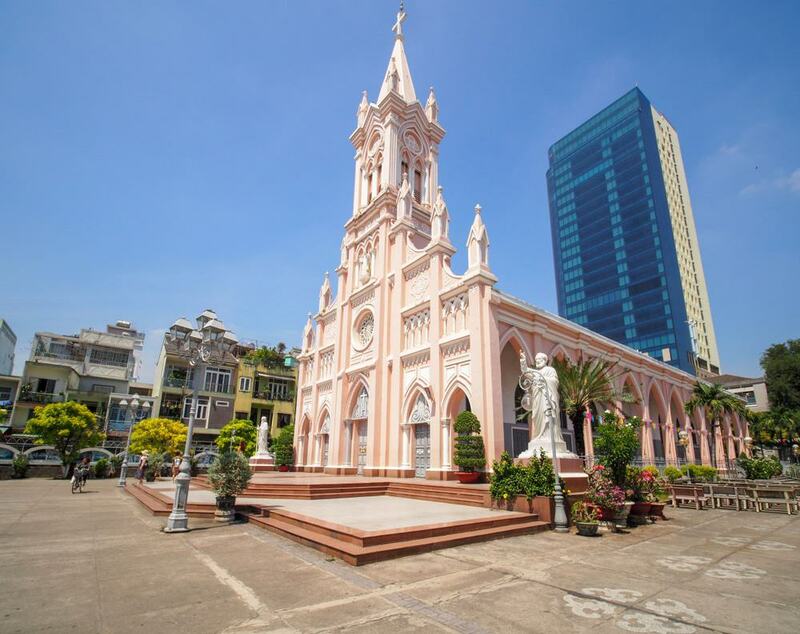 The Da Nang Cathedral is one of the most famous catholic churches in Vietnam thanks to its amazing design features. The cathedral has a signature pink edifice as well as colorful stained-glass windows and a large bell tower which has an iconic weathervane at the top in the shape of a rooster. The cathedral dates from 1923 and it also goes by its local nickname which is Con Ga or Rooster Church. 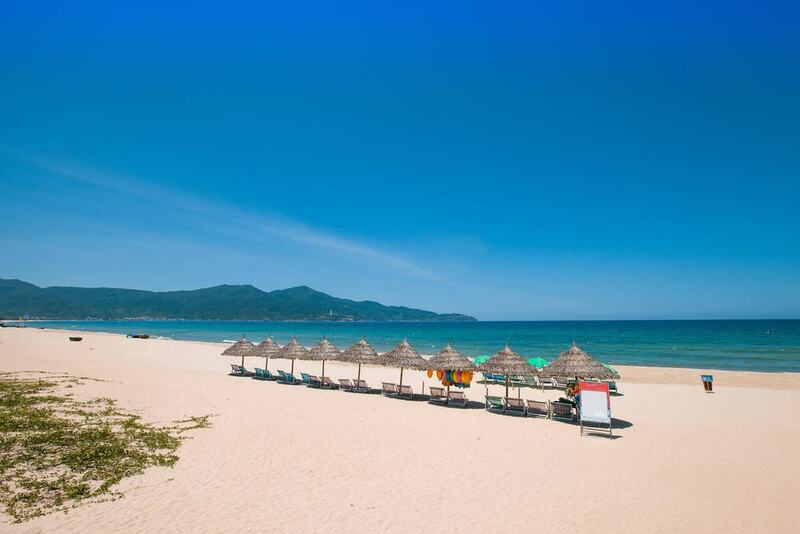 If you are looking to get out of the center of Da Nang then consider a trip to the beautiful neighboring Cham Islands. Here you will find some pretty coral reefs and a plethora of colorful fish and you can swim and snorkel here to take in the underwater delights firsthand. The Cham Islands are located around an hour away from Da Nang by boat so you can easily visit for the day or there is also the choice to camp here overnight. 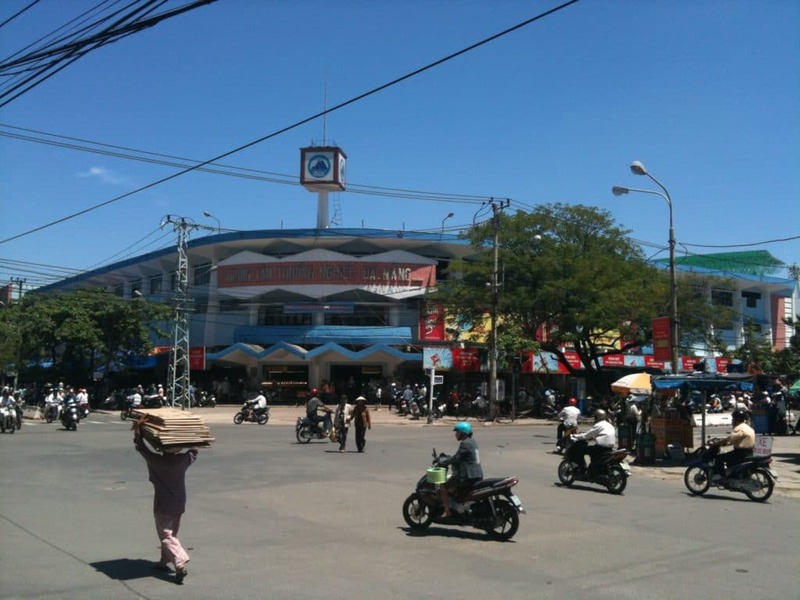 Con Market may not be a promising name for a shopping area but you will find some 2,000 shops here which sell everything you could ever need in Da Nang. These include clothes and footwear as well as local handicrafts, so this is a great place to pick up some gifts or souvenirs. This shopping area has been here since the 1940s and it was renovated in 1984 to its present form. Many people come here to shop and also sample the street food from the various carts and cafes in the area. 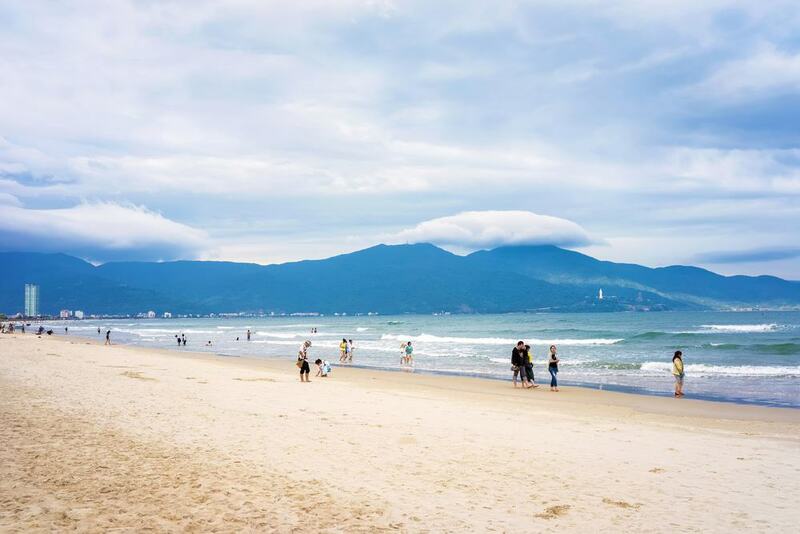 Another one of Da Nang’s famous beaches is Pham Van Dong Beach. This beach has been the location for a number of film shoots which tells you everything you need to know about how beautiful it is. The sand here is known for being incredibly soft and one of the best things to do here is go for a barefoot walk along the pristine shore line. You will also find resorts and restaurants in the area and you can swim in the gentle waters. 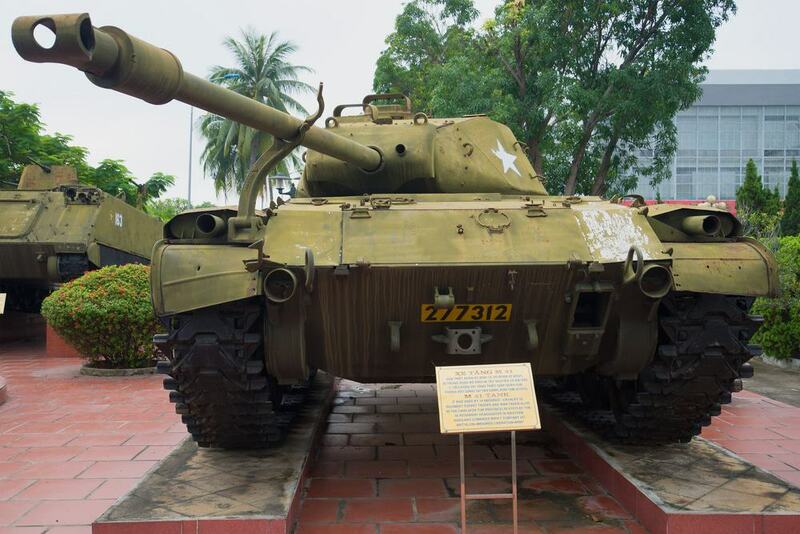 The Fifth Military Division Museum in Da Nang is dedicated to explaining some of the brutal history of Vietnam that occurred during the Vietnam War. The museum has a number of antiques from the war as well as other memorabilia such as letters and photographs that were taken by the Fifth Division soldiers. The museum is huge and is laid out in four main sections where you can see signature pieces such as a Cessna O-1 Bird and an A-37 Dragonfly. 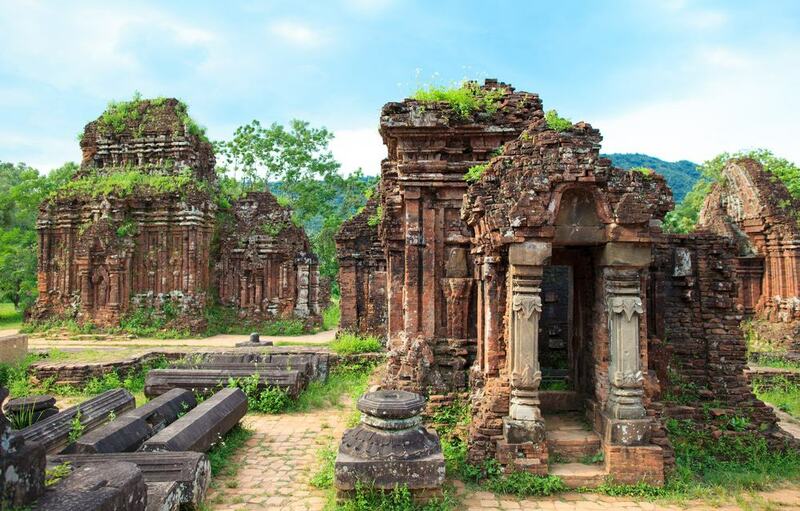 My Son is a UNESCO World Heritage Site and is made up of a collection of ruins which would have formed the base of the fearsome Champa Kingdom. The architecture here spans eight centuries and you will see ornate carvings as well as impressive stone pillars and buildings. Many people come here as part of a guided tour where you can learn all about the history of this amazing monument. 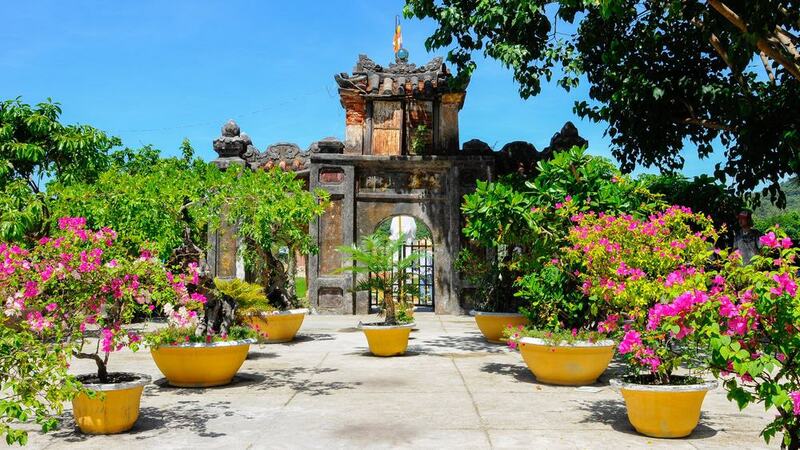 The Ho Chi Minh Museum is set amidst lush ground in Da Nang and offers you an insight into the leader of Vietnam. Some of the galleries are made up of collections of Soviet and Chinese weapons which will fill you in on some of the military history of Vietnam. 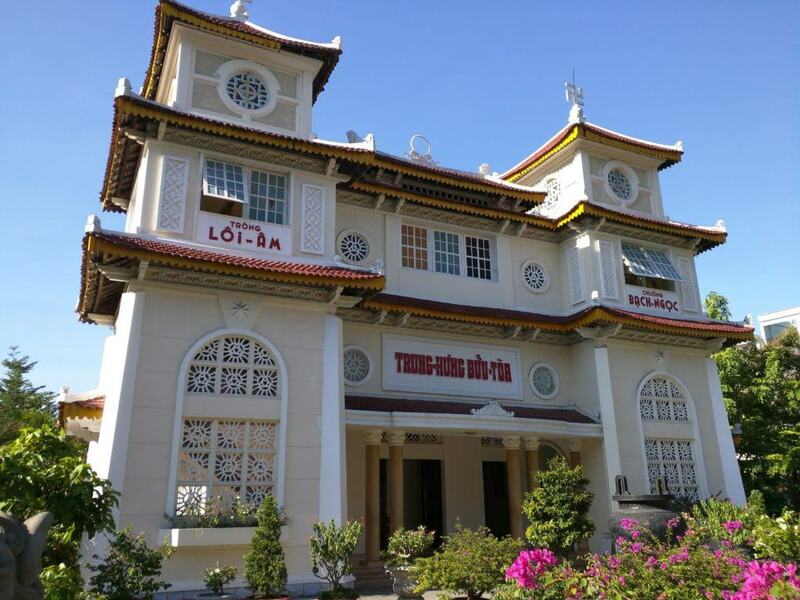 Note however that there are several buildings and you will also find a model of Ho Chi Minh’s house in Hanoi here as well as the adjoining museum exhibition areas. 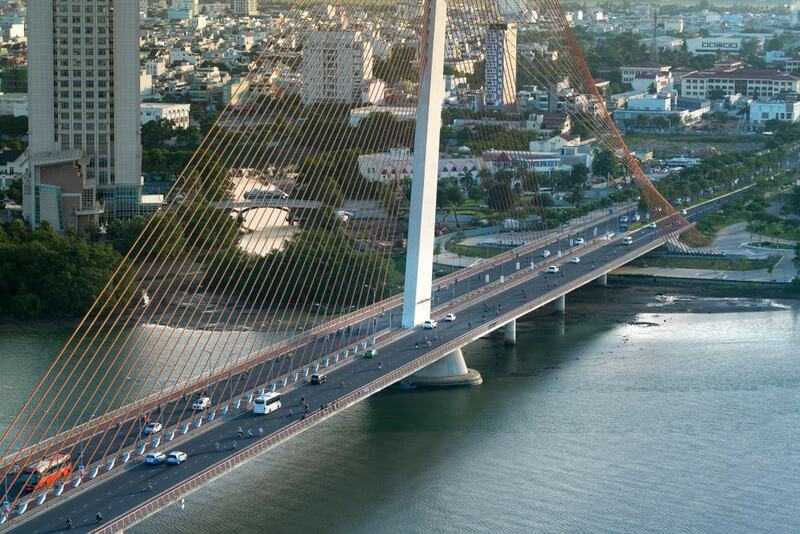 The Han River Bridge is one of four main bridges in Da Nang and is also a top attraction for visitors to the city. This is a cable supported swing bridge and was the first of its kind in the region. Visitors flock here at night as the bridge is fully illuminated by colorful changing lights and if you stop here around midnight you can watch an amazing spectacle as the bridge swings on its axis and open up to allow ships to pass by. If you want to check out the bridge from a different vantage point then you can take a river cruise along the river. 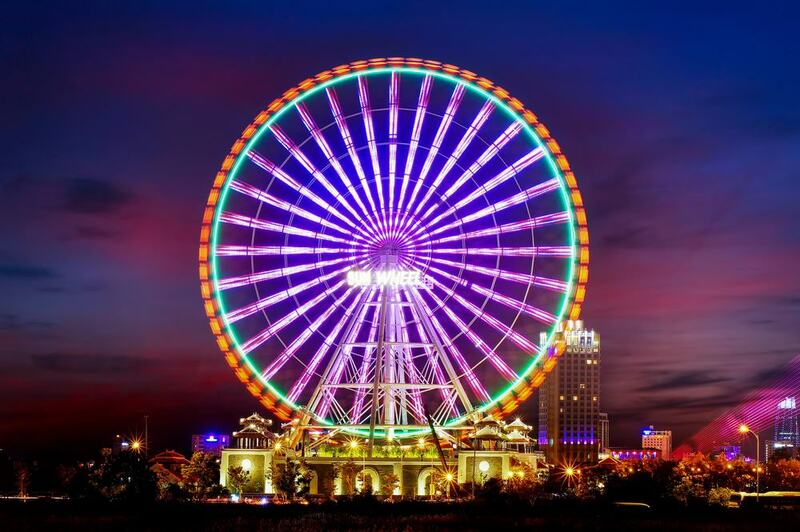 If you fancy getting out of Da Nang then you can travel to Asia Park which is located on the coast and is a large amusement and cultural facility. The park is made up of three zones including an Amusement Park, a Cultural Park and a Central Zone. One of the main attractions here is the large Sun Wheel which soars to a height of 115 meters and is a large clock tower that tells you the time zones across a range of countries. You can also enjoy rides, shows and other adventure activities here. If you want to ride the waves on a surf board in Vietnam then Da Nang is the place to do it. The surf off the coast of Da Nang is perfect for both beginner and advanced surfers. In theory you can surf all year round here, although the main surf season is from November to March. Some of the best spots to rent a surfboard are China Beach and My Khe Beach. You will even find surf schools here if you are new to the sport. Anyone looking for the best river views in Da Nang needs to head to Waterfront which is a riverfront lounge and restaurant. Here you will be able to have a cool drink as you take in the sunset in Da Nang and you can also enjoy a comprehensive restaurant menu which includes both local and international plates. This is also a good spot for anyone who is looking for vegetarian bites in Da Nang. The Cao Dai Temple in Da Nang is the largest of its kind in Vietnam and is said to have some 50,000 worshippers. Here you will find a sign that says that ‘All Religions Have the Same Reason’ and you will find references to important figures from the main five world religions. These include statues of Jesus, Mohammed, Laotse, Buddha and Confucius and there is also a huge altar which is fitted with a large globe known as the Divine Eye. 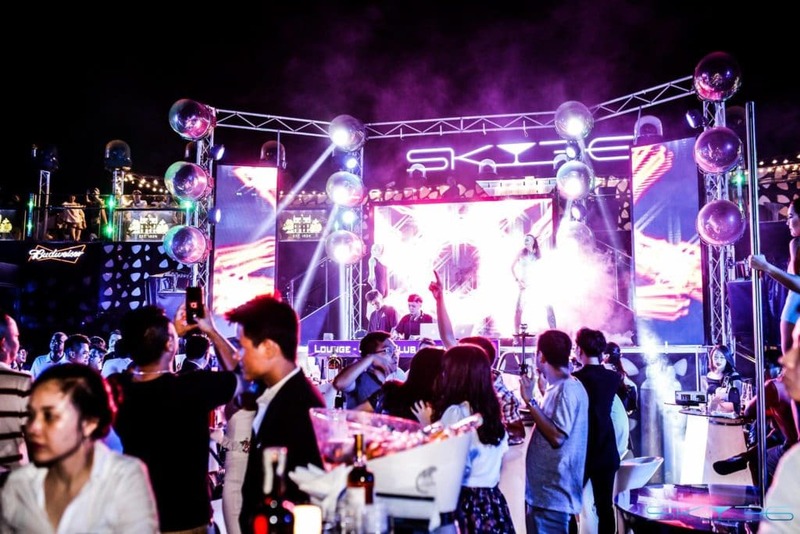 Da Nang is not particularly well known for its nightlife but f you want to party the night away then you may want to consider a trip to Sky 36. This is a new rooftop bar which has gorgeous panoramic view over the pretty Da Nang River and the illuminated bridges for which the city is so famous. There is a smart-casual dress code here and you can sample some delicious cocktails as well as try some toothsome bar snacks. Certainly if you are looking for a watering hole with the best views of the city, then this is it.